Why are fish cold blooded? A pretty simple question, right? But the answer may be a bit more complicated than you think. First, we have to specify what exactly it means to be “cold blooded” with a few definitions. We’ll start with the terms, endothermic and ectothermic. I’m sure you’ve got these down pat, as they probably were drilled into your head since the fourth grade. But if not, endotherms maintain optimal body temperature via internal processes (e.g. metabolism). On the other hand, ectotherms can’t use internal processes to regulate temperature, and must rely on outside sources. Then there are homeotherms and poikilotherms. 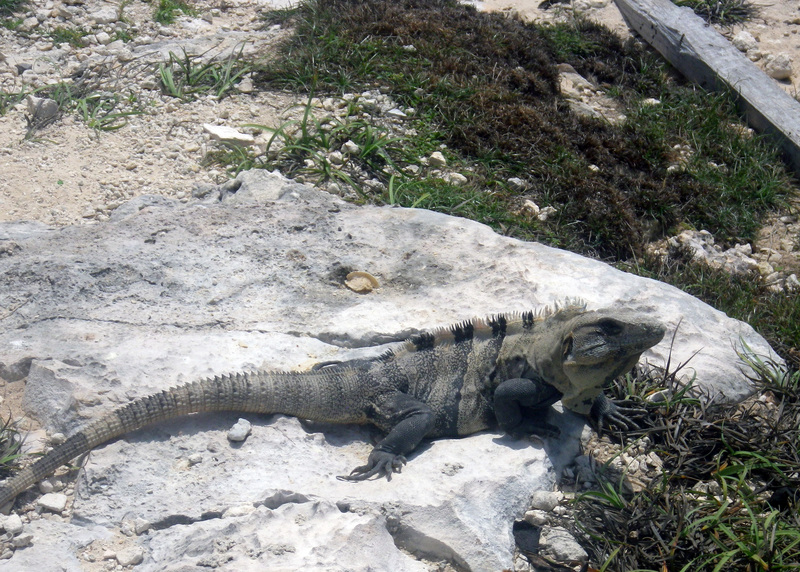 An organism that is homeothermic maintains a relatively stable body temperature—sometimes through metabolism, or sometimes through its behavior (think of desert lizards switching from sun to shade). So, homeotherms are usually (but not always endothermic). On the other hand, the internal temperature of poikilothermic organisms varies greatly, and depends on the environment—now we’re talking about most fishes. 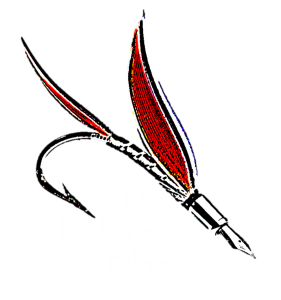 So let’s rephrase the question: “Why are fish poikilothermic”? Firstly, let’s dispel a myth…or at least change the tone of the conversation. When have you used the term, “cold-blooded” in a positive way? Think about it, culture is full of “cold-blooded killers” who “kill in cold blood”, and are so creepy they make your “blood run cold”. Not too flattering to the ~32,000 fish species that utilize this lifestyle. These kind of phrases lend us to the thinking that poikilothermy is some kind of degenerate, undesirable, or primitive way of making a living. Well, poikilothermy is primitive, in the fact that the first vertebrates were (and are) poikilothermic. But as you’ll see, poikilothermy is actually a very elegant solution to the fundamental problem of retaining heat in an aquatic environment—where life first evolved. Water is a heat sink. Because of its high specific heat, water tends to drain the heat out of surrounding objects. This makes sense, right? If not, go take the polar bear plunge in your winter clothes and read this again. So, being immersed in water 24/7 would quickly drain the energy of any endotherm (unless it possesses massive amounts of insulating fat like whales and seals). Plus, fishes’ blood has almost direct contact with their heat-robbing environment—through the gills. So for fishes, this means that using your metabolism to keep warm would be very energetically expensive. In that sense, poikilothermy represents an evolutionary advantage, rather than a disadvantage. Many fishes, such as tuna, actually have a physiological mechanism that enables them to be at least partially endothermic. They use a counter-current circulatory system called the rete mirabile (Latin for “wonderful net”), which exchanges venous blood (going to the heart) and arterial blood (going from the heart). This minimizes the amount of heat that is lost between the fish’s warm, fast moving extremities and its cooler, slow-moving core. And very recently, scientists discovered the first fully endothermic fish. 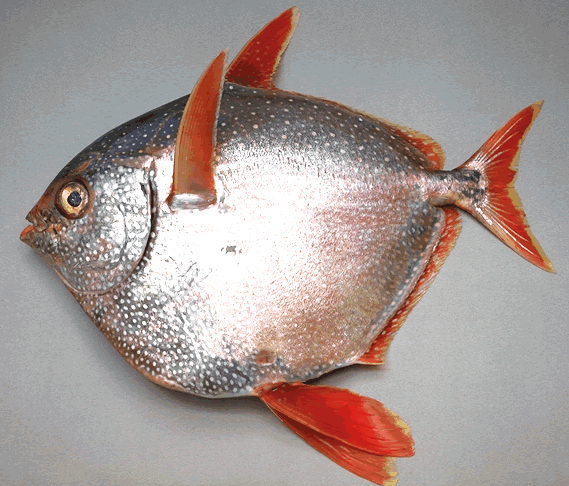 The Opah keeps its blood warm by constantly flapping its pectoral fins. A series of counter-current heat exchangers in the fish’s gills helps the blood stay warm. This helps the Opah in the deep, cold waters of the Pacific where it lives. 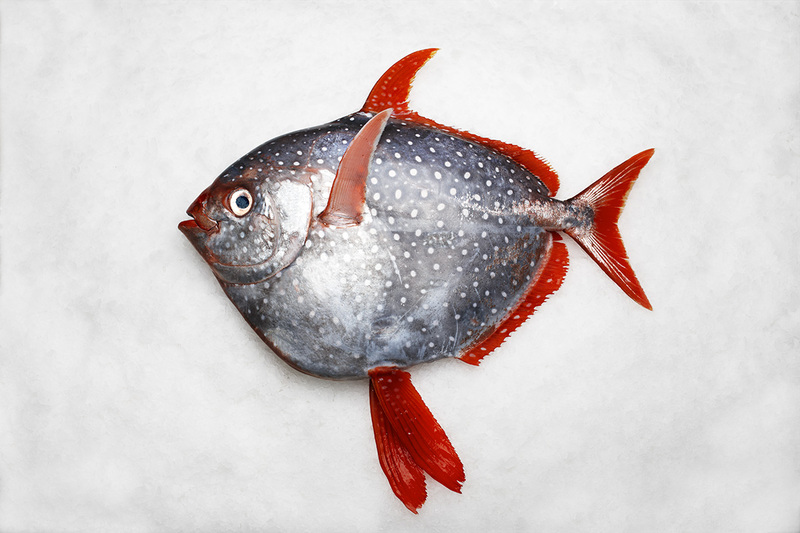 The Opah (or Moonfish) is the first fully endothermic fish species to be discovered. Source. Next Post Plankton or Plastic?